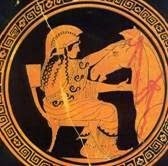 The Trojan horse story is not obvious entertainment for Valentine’s Day. It was linked to multiple rapes and doomed love affairs: Helen/ Menelaus, Helen/ Paris, Achilles/ Patroclus, Andromache/Hector, Hecuba/Priam, not to mention Agamemnon/Clytemnestra. 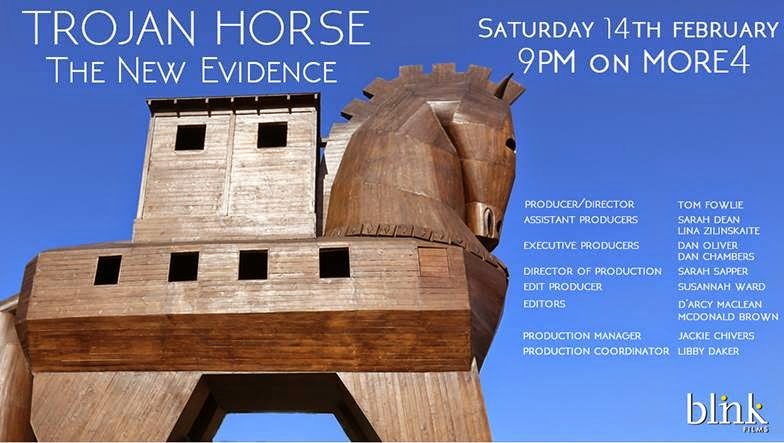 Nevertheless it is Feb 14th at 2100 that a documentary about the Trojan Horse “mystery” which I helped make last summer is being broadcast in the UK on MORE 4. Guessing what “reality” underlay this “myth” was already popular in antiquity. An ancient scholar called Servius surveyed all the guesses made by the fourth century AD. 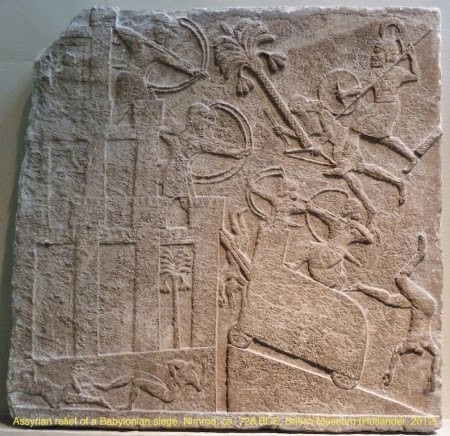 Some said it was a battering ram in the form of a horse, and there are wheeled siege machines in Assyrian art. 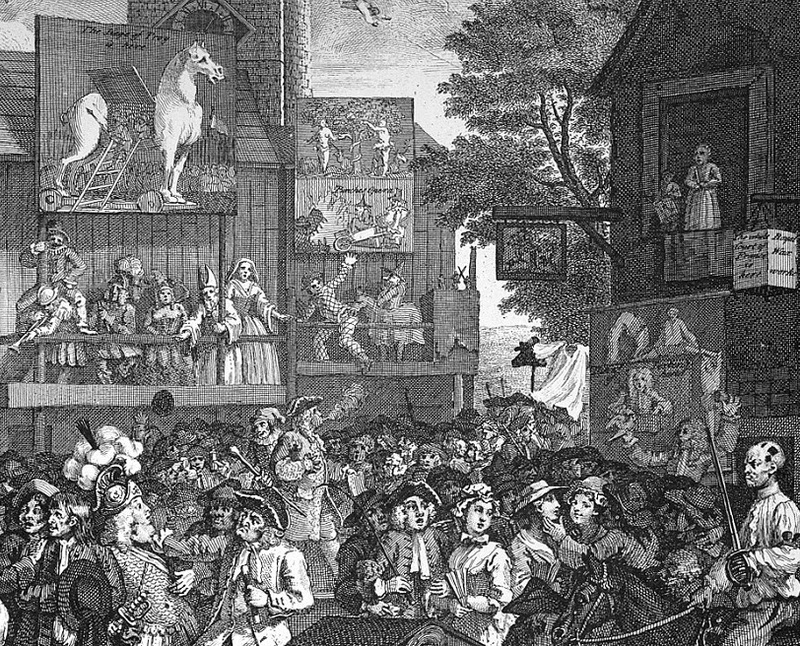 Others claimed that a horse was painted over the gate through with the Greeks invaded Troy, perhaps not unlike the famous painted horse, the scenic backdrop of a fairground comedy on the Trojan theme, portrayed within Hogarth’s Southwark Fair. 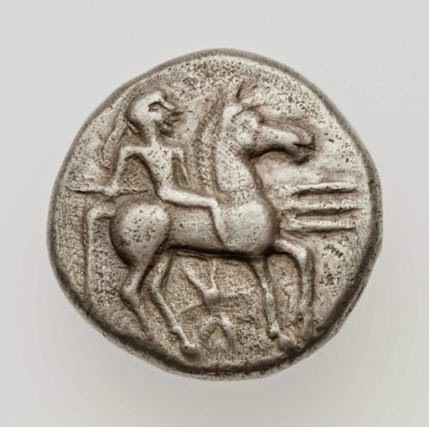 Others suggested that the Greeks’ secret password was “horse”. Or that Troy was defeated by the Greek cavalry. Or that the Greeks attacked Troy from a slope called Horse Mountain. 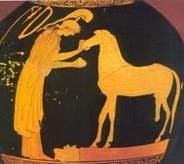 Modern scholars have slightly expanded this repertoire of guesses, most plausibly in suggesting it had something to do with the religious cult of Athena, portrayed making statues of horses on several vases; another candidate is Poseidon, worshipped as “Horsey (Hippios) Poseidon” in the area round Troy. He was also the god of the earthquake, so the Trojan Horse story might be legend’s way of memorializing a siege made possible when the city was damaged by seismic tremors. Personally, I am now sick of the Trojan Horse, at least in contemporary journalism. There is scarcely a political situation in the world which doesn’t remind some cartoonist somewhere of this story. Last week alone I spotted a Russian "aid convoy" entering Donetsk portrayed as a Trojan horse by a Ukrainian newspaper and American capitalists hidden inside the Trojan horse of Islamophobia in a left-wing French organ. They need to extend their repertoire: the siege of Joppa in the fifteenth century BC featured soldiers sneaking into town in food sacks suspended on poles. An ancient Persian epic, the Book of Kings, tells of eighty soldiers who captured the Brazen Fortress from inside having gained entry in treasure chests drawn by dromedaries. 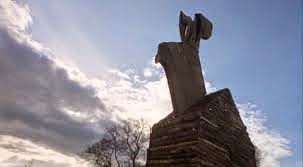 Best of all, we could take our cue from Monty Python’s Holy Grail and at least ring the changes with a wooden Trojan Rabbit. Glad to see the rabbit got a mention.